In general Professional Sports therapy is very similar to a Chartered Physiotherapy and Osteopathy. Sports Therapists have undertaken a long and intensive course quite similar in many ways to a Physiotherapy Degree. Sports therapists tend to be very hands on and specialise in massage, Sports Injuries and exercise advice. Similar to Physiotherapists they can directly formulate a treatment diagnosis, plan treatment and formulate effective rehabilitation programmes. Sports therapists specialise in sports injuries, massage therapy, spinal articulation, ultrasound, electro-therapy and exercise rehabilitation. The key to good rehabilitation and injury treatment is to understand your body and how it works as a whole. Training enables Sports therapists use the principles of sports and exercise science. Degree level qualifications course trains the sports therapist will have a very good level of understanding when it comes to presenting injuries, disease processes and presenting illness. Physiotherapy and Sports therapy enables patients to return to sport, training and where applicable work. Sports Therapists work closely with their patients to enable them to get back to being fully functional. They are trained to treat and prevent injuries recurrence in the future. They also work with individuals to help them achieve optimal performance in a desired sport. Provide a high level of deep tissue, sports and remedial massage in a clinic, and sporting events. Sports therapists will plan and implement appropriate bespoke rehabilitation programmes for you. Initially the Sports Therapist will take a detailed and thorough assessment of the injured/problematic area, this helps to establish the cause of the problem. From here they can create a treatment plan with goals to help to get you better. Sports Therapists use a variety of different techniques such as massage therapy, joint mobilisation, electro-therapy, taping and strapping, stretching techniques and rehabilitation exercises to aid a patient to a full recovery. For helpful advice call reception on Hatfield 01707 888229 for advice or information*. 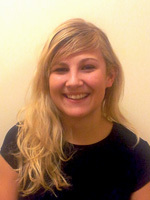 Lara Inge studied Sports Therapy at the University of Hertfordshire in Hatfield and graduated with BSc (Honours) in 2008. During her degree she spent time working at a Police Rehabilitation centre in Reading, as well as providing sports therapy and massage to players at Luton Town Football Club. More recently she has continued her academic development completing a Masters in Dance Science at Laban, a contemporary dance college in London. Lara Inge also the lead Sports Therapist for the University of Hertfordshire Hurricanes American Football team; this opportunity provides a diverse range of injuries and problems, which she has successfully dealt with over the past 4 years as lead sports therapist to the team. Lara has also worked with a wide variety of sports from rugby to volleyball providing pitch side first aid.